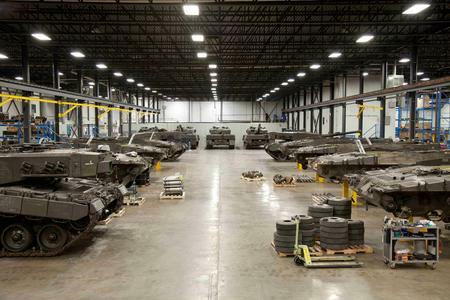 Following substantial infrastructure investment in St-Jean-sur-Richelieu, Rheinmetall Canada has successfully begun modernizing 42 Leopard 2A4 main battle tanks, refitting them to meet the needs of the Canadian military. Visitors to CANSEC can see for themselves one of these thoroughly overhauled systems parked in the outdoor area. Underscoring their trust in Rheinmetall's Leopard 2 expertise - almost half of the tanks built thus far come from the company's plant (formerly MaK) in Kiel in northern Germany - the Canadian armed forces have recently placed another order with the Group. Under Canada's "Leopard 2 A4 Simulators and Trainers Programme", Rheinmetall will be supplying eleven Leopard Gunnery Skills Trainers (LGST) and two driving simulators. Rheinmetall experts also stand ready to implement the Land Vehicle Crew Training System (LV CTS). 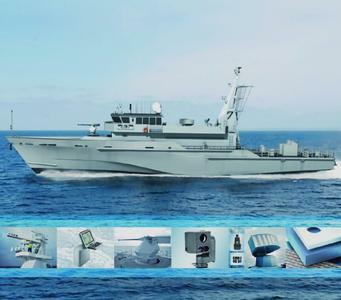 In an era when threats at sea are often asymmetric, Rheinmetall has developed "4SEEN", a system that makes sure that smaller units too enjoy better protection from attack. At CANSEC it will be on view for the first time. 4SEEN is a reasonably priced combination of a commercial bridge system (radar and navigation) with "man in the loop" target acquisition, validation, engagement, and after-action assessment. Representing a capabilities-oriented approach to self-defence, the design is based on a modular, scalable concept. Unlike larger, more complex combat management system (CMS) designs, which often draw on products from several different manufacturers, the individual components that make up 4SEEN - including the sensors, effectors, control hardware and software as well as logistical aspects such as spare parts, maintenance, training and documentation - all come from a single source. Compared with a full-fledged CMS concept, this approach cuts costs significantly. Furthermore, though 4SEEN is a standalone system, it can also be integrated into existing CMS structures. Infantry units continue to play a crucial role in modern conflicts. 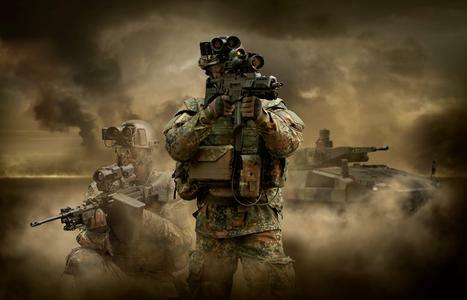 On behalf of the German Bundeswehr, Rheinmetall has developed a set of high-tech modular infantry equipment known as Future Soldier System IdZ-2 (now called "Gladius"). This new soldier system brings dismounted troops directly into the networked-enabled operations loop. Rheinmetall and SAAB have joined forces to bid for the corresponding Canadian procurement programme: the Integrated Soldier System Project, or ISSP. 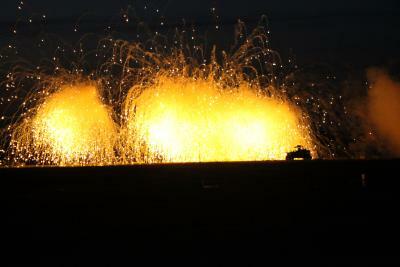 Their joint proposal for implementing this project is likewise on display at CANSEC 2012. Due to its range, effectiveness and versatility, Rheinmetall's comprehensive array of 40mm ammunition provides infantry and other dismounted elements with enormous tactical flexibility. Rheinmetall has a legitimate claim to leadership in the 40mm field. Besides the CASW fielded by Canada, on show at Rheinmetall's stand will be the Group's Hydra and Cerberus grenade launchers, both of which are specially designed to fire the new medium-velocity cartridges. Two fire control units, the VingMate and the new MultiRay, round out the display. 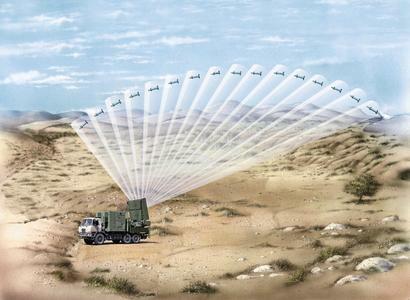 The ELM-2084 multi mission radar (MMR), a joint project of Rheinmetall Canada and IAI ELTA, can simultaneously perform weapon location and air defence tasks. It is highly mobile, quick to deploy and offers excellent electronic counter countermeasure (ECCM) characteristics. Rheinmetall and IAI ELTA have put forward the MMR to serve as Canada's new Land Force Medium Range Radar. Reliable vehicles are the backbone of every logistics chain. The HX and SX series from Rheinmetall MAN Military Vehicles (RMMV) consist of robust, operationally proven products with a record for reliability dating back decades. 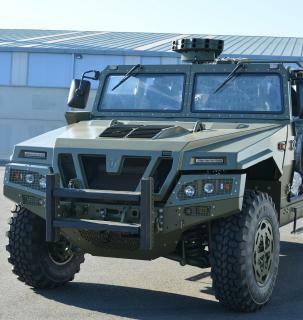 The HX offers the ideal platform for Canada's "Medium Support Vehicle System Standard Military Pattern". Visitors are welcome to form their own impression of this truck at CANSEC. A version of the HX 77 now in service with the British Army will also be on display in the outdoor area. A year after celebrating the 25th anniversary of its Canadian subsidiary, Rheinmetall's robust presence at CANSEC emphasizes once again its role as an important and reliable partner of the Canadian armed forces.